Here is Sean Hannity with another whopper that is pure fake news..
And he sites a bloomberg story as a link that is about the central bank president of India..It has nothing to do about US oil production..And makes up a baseless claim that Trump’s deregulation is the reason for this. This is how Trump won the election..Via right wing conservative fake news..Just like numerous studies have shown.. If a person restricts the statement to “crude oil,” and takes a fairly short time period, the statement might be right. This is a chart of US exports of crude oil by month, through October 2018. US refineries are operating pretty much 24/7/365, except for needed downtime spring and fall. They don’t have more capacity for oil. This cuts back on how much the US can imports from Canada, and it tends to depress US WTI prices relative to Brent. In October 2018, the US exported 2.3 million barrels per day. Looking at BP Statistical Review of World Energy, Crude oil exports were higher than 2.3 million bpd in 2017 for Canada (3.5), Russia (5.6), Iraq (3.8), Saudi Arabia (7.2), and United Arab Emirates (2.5). 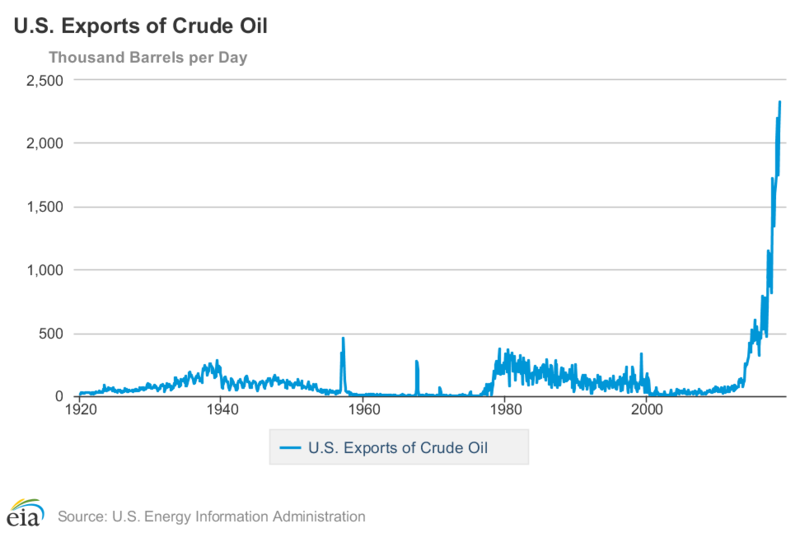 The US did not become the world’s largest exporter of crude oil, but it certainly ranks up near the top. 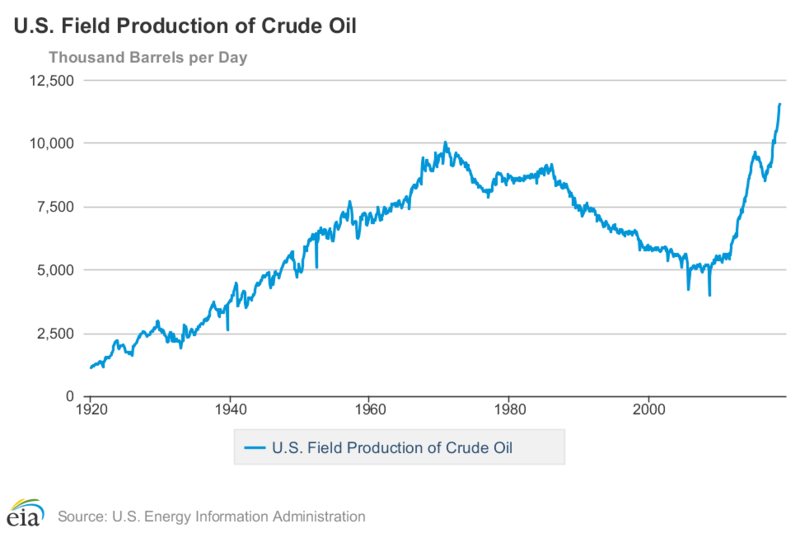 The US’s production of crude oil keeps rising. It exceeded 11.5 million barrels per day in October 2018. On this basis, the US seems to have become the world’s largest producer of crude oil. All of the details about whether it is “producer” or “exporter” of “oil” or “crude oil” become difficult for novices to keep straight. I was looking at this further. In October 2018, the US exported 2.3 million barrels per day of crude oil and 5.7 million barrels per day of other stuff (mostly products) for a total of 8.0 million barrels per day of oil exports. BP Statistical Review of World energy shows total oil exports for Russia (crude oil and products) 8.6 million barrels per day, and for Saudi Arabia of 8.2 million barrels per day. Thus, the US is not far from becoming the world’s largest oil exporter on this basis. Of course, these amounts are not net of imports. I did a Google search to find an article that spelled out the numbers on the US oil situation, or at least according to the linked article below. 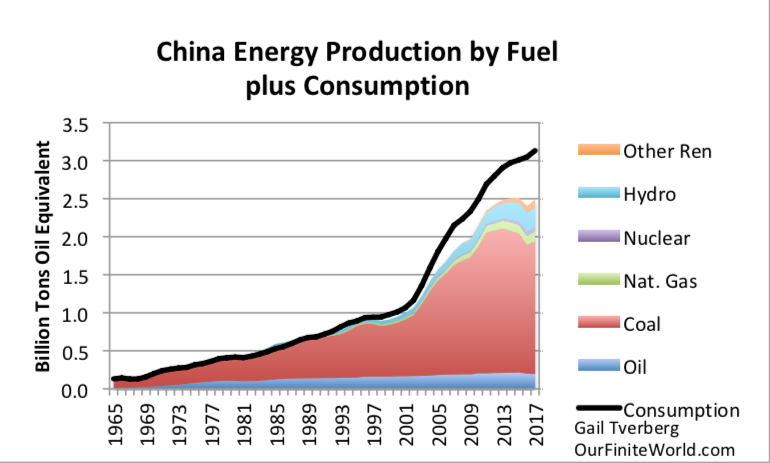 The last paragraph gets to a bottom line, but includes other supply, NGL’s and ethanol as feedstock for refining. “20.5 million BPD is a fairly accurate representation of U.S. consumption, but there is a large U.S. production number that isn’t included in the crude oil production numbers. There is a line item called Other Supply, which consists primarily of natural gas liquids (NGLs) and fuel ethanol. This category represents a significant input to refiners in addition to the 11.7 million BPD of production (and the 4.0 million BPD of net crude oil imports). Other Supply represented 6.9 million BPD of production, and it mostly ends up as feedstock for refiners or petrochemical production. (Note that this category also includes “Refinery Processing Gain” of 1.2 million BPD, which results from refiners making products that are of a lower density than crude oil). I know Robert Rapier from Oil Drum days. The numbers I was quoting were different, but related. The EIA calculates a “net import” amount each week, which is what all of the discussion was about in early December. I am not sure how good these weekly amounts are; I was using the monthly amounts that are put up later, and seem to have a little more review to them. One of these weekly amounts reported as “net imports” was slightly negative, namely for the week ended November 30. Thus, with the highly variable weekly numbers, the US for one week seemed to look like a net exporter. I wouldn’t believe it over any longer period. I didn’t go back through Roberts’s numbers. I suspect he also looked at more stable numbers than the weekly estimates. This is a link to the weekly estimates that got people excited. The pieces can be seen at this link. I thought Trump won because he was the ‘new liar, nit the same tired ‘old liar’. Remember Obama was a lame duck President at the end. Its late stage capitalism– Trump was an appropriate candidate. No morals or rules to get in the way, no one will do business with him except the Russians, can be the needed sleazy actions to increase elites wealth. I think we have the perfect candidate. I liked the line that somebody said on MOA upon his election, that he’s being elected to do for USA like he does in business ventures, declare bankruptcy. It’s amazing that we’re already in year 3 of his presidency; time sure goes fast. He has been bankrupt 4 times, as I remember. Went with my wife to the Women’s March today in Bend Oregon. I am sure There are many oppressed women in Bend Oregon. Did you tell them that civilization is fast approaching collapse and they were wasting their time? Isn’t it wonderful when people use social justice as a smokescreen for self interest? If they’re interested in social justice they could try thinking about those who actually need it. I see that got a response! Obviously from those who didn’t walk. Not sure you understand the main premise of this blog. This is several levels down, looking at economics, and how energy influences the outcome. 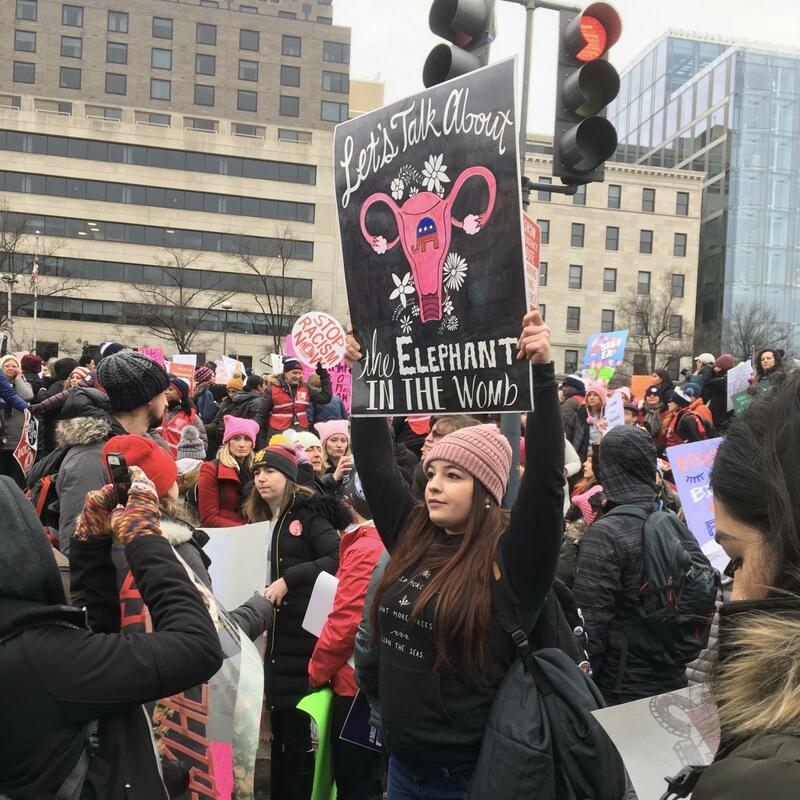 isn’t it ironic that the women who are most in need of social justice live in countries where they can’t march for social justice? Very true: the interesting thing is that pre-FF societies show such a wide variety in the relative status of men and women. The radical-feminist proposition that it ‘will all be like the Handmaid’s Tale’ is pure bunk. And Germanic, Norse and Celtic and Basque women had very much higher status than Ancient Greek females, as history shows: most tribal chiefs – until Christianity imposed itself – would do nothing without the approval of the tribal witch and one even scared a Roman general into running away. well, not in Muzzlim countries really ? It takes real guts to step out of line in Iran, male or female. I don’t think the situation is “might.” Before birth control pills, and the good transportation we have today, married women mostly stayed at home. Businesses did not hire them. Single women became nuns for the church, or took on a few other professions (teacher, nurses, store clerks). Here is there reasoning behind the forecast. “The key element to understand the process that the USA will enter in the upcoming decade is migration. In the past, specially in the 20th century, the key factor that allowed the USA to rise to its colossus status was immigration with the benefits of a demographic expansion supporting the credit expansion and the brain drain from the rest of the world benefiting the States. The collapse of the Western financial system will wipe out the standard of living of its population while ending ponzi schemes such as the stock exchange and the pension funds. 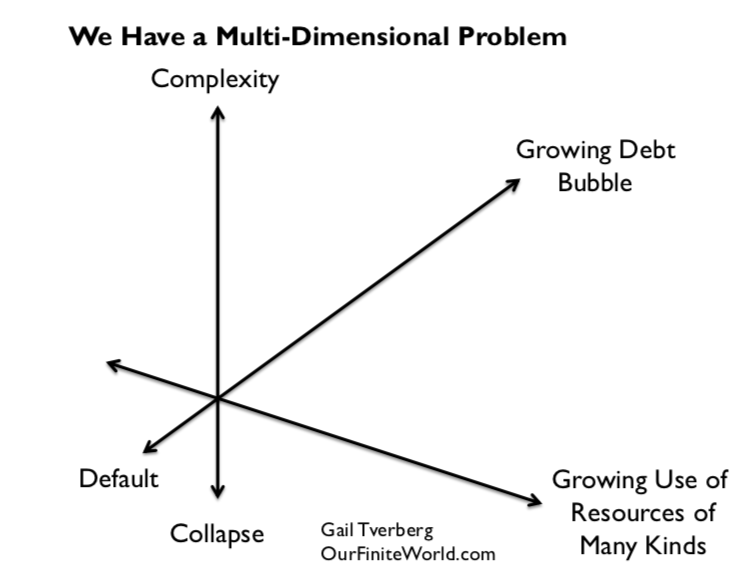 The population will be hit so badly by a full array of bubbles and ponzi schemes that the migration engine will start to work in reverse accelerating itself due to ripple effects thus leading to the demise of the States. After the economic collapse, they see migration going into the opposite way..Americans fleeing to central America..Maybe Trump’s wall is to keep us in? Wouldn’t that be a hell of a plot twist.. Except Mexico seems to already losing its oil exports, making the country much worse off financially. What does it do, when it cannot pay for the programs it needs for its people? I just moved back to The States from Mexico. 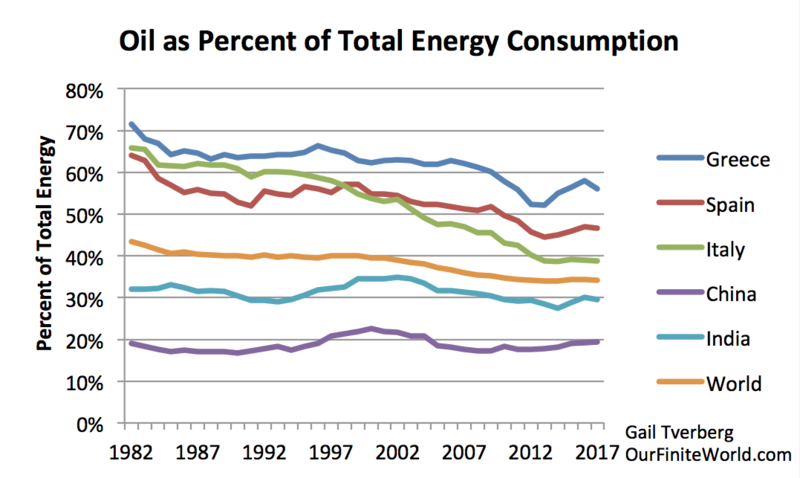 A 2/3 die off in the US by 2025 may be better than what Mexico experiences. All things are relative. When a person doesn’t know the various pieces, it is hard to judge. Maybe a farmer in Calif. meets a segment of Mexican immigrants that are tilted to immigrants that are also farmers, yet even separated from their immigrant relatives by a couple generations the Mexicans I know are good gardeners and farmers. Gotta count for something in the event of a nasty economic downturn. It was a combination of both..Nearly half of our fortune 500 companies were founded by first or second generation immigrants..Such as Google, Apple, Tesla, Amazon, etc.. Yes immigrants had everything to do with it…a simpleton statement….also, those companies were founded by individuals schooled in good educations, before it was corrupted into today’s joke of an education system. Also, what did government money contribute to Tesla, Google…And now to Amazon? Steve Jobs and Wozniak actually had garages to start their companies in…not a government funded apartment hovel. ‘Mericans migrating to Mexico & Central america? ha ha ha ha ha ha ha ha, tell me another one! People are fleeing those countries because they can’t survive there! Their flooding our border expecting us to give them our non existent jobs, unafordable housing & I also expect most of those women towing children expect us to support them. ‘Mericans have no place to flee to, go north? there are too many of us, it’s still too cold & with poor soils, go south, way too many people & it’s getting hotter & dryer, flee to Asia, your kidding, their even more overpopulated than we are & they will be fleeing towards Europe & poor Europe will also be flooded with even more Africans! Rich ‘mericans might try fleeing towards New Zealand but they don’t want more northerners & neither does Australia, nobody will be welcoming more migrants. We are in a trap & we keep digging it ever deeper with our growing overpopulation. Links to files on your own computer don’t work. The file needs to be up on a server. I’ve been reading Vaclav Smil’s ‘Energy and Civilization: A History’ recently. It’s been a great read so far, and I would recommend it since it’s so closely relevant to what we discuss here. Smil seems to recognise the deterministic patterns that societies follow in their response to energy flows, the sociocultural and political implications of this, and our ultimate fate as a civilisational ‘flash in the pan’ abberation in the long history of humanity. Also discussed in the book, and something that might be of interest, is the correlation between new innovations capable of utilising energy and the expression of business cycles. I’d be interested to know whether Gail has heard of Smil and what she thinks of him. Smil seems to understand on a basic level. Is probably not the ideal person for this blog. He is an anti collapser..He wrote a book called something like “The US is not Rome”..That is why Bill Gates loves him.. Right, he believes in peak oil, not collapse. 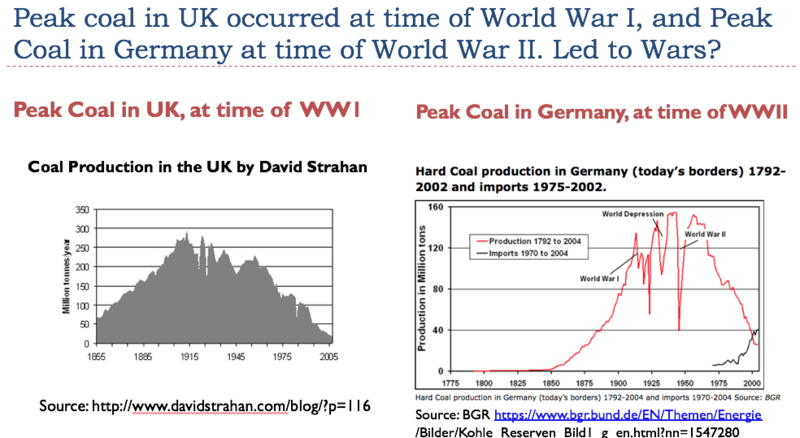 how can we have peak oil and not collapse? 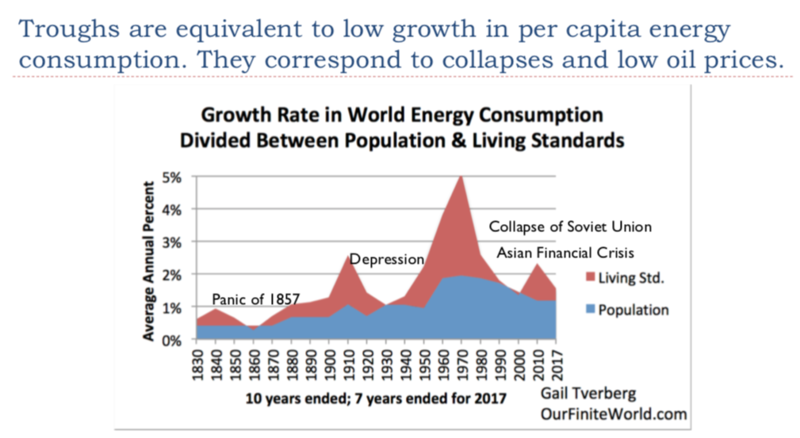 i think we can collapse without peak oil, but not vice versa. 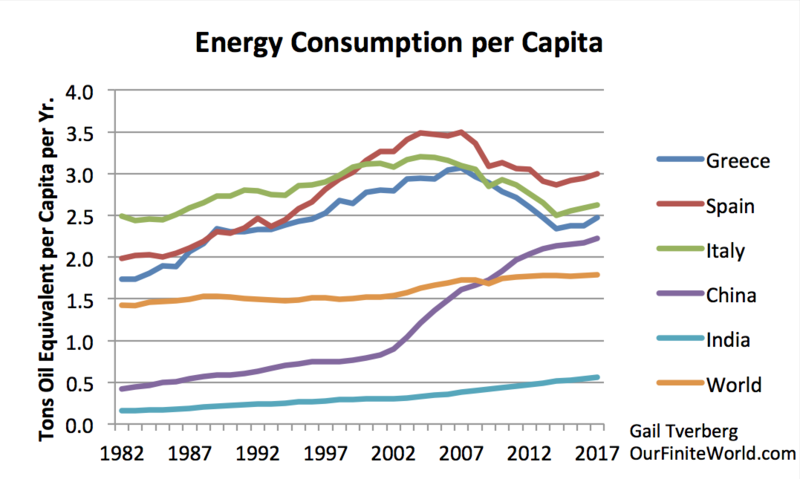 we’re already having problems with peak cheap oil. I have read some of his books and have met him in person once, when we spoke at the same conference in Brussels. I agree with a lot of his conclusions. He says any transition to renewables is a long way off, for example. But he doesn’t think of limits at all, and he is not at all interested in blogs. When he spoke in Brussels, he skipped the night-before speakers’ dinner (without telling people his plans, I believe). I am sure he was busy with his many things. He did talk to me and the other speakers briefly in the morning before our talks. I am sure he had never heard of me and had no interest in me. Blogs were of no interest to him. I mostly asked him questions, and he responded. He left immediately after his talk, so he didn’t hear my talk, or the EU responses to our talks. He must spend an awfully large share of time on his books and talks, to pump out as many as he does. His talk was very good. It was basically an anti wind and solar talk. He talked about their deficiencies as replacements for fossil fuels, as I recall. Smil is known for being “intensely private”, shunning the press while letting his books speak for themselves.At UM, he only ever showed up at one faculty meeting (since the 1980s). The school accepted his reclusiveness so long as he kept teaching and publishing highly-rated books. I had a tutor like Smil, a wonderful dedicated scholar and very reclusive – he went a little mad in the end, sadly (having to teach me had nothing to do with it, I swear!). Despite the flurry of questions and the onslaught of selling on Friday, one note worth covering its Tesla’s 2019 convertible bonds. On March 1st, $920 million worth of convertible debt will come due. If Tesla stock is trading at or above $359.88, the company can elect to pay back that debt with stock rather than cash. Tesla has already said that should the stock close above the conversion price, that it will pay it back with a 50/50 combination of cash and stock. However, with Tesla’s recent pullback and Friday’s 13% plunge, that puts Tesla’s strategy in jeopardy. As of last quarter, Tesla had about $2.9 billion in cash and equivalents. Tesla’s cash and liquidity situation is more complicated than a simple glance at the balance sheet, but it gives us a rough idea of where the automaker stands. It might me a good idea to avoid tweeting and toking Mary Jane for Elon till then!, just saying. How is Elon going to do it??? (Bloomberg) — Elon Musk has backed himself into a corner with Tesla Inc.’s most crucial car. Some would-be customers have waited almost three years to take delivery of the Model 3, a sedan they plopped down a $1,000 deposit for as early as March 2016. Musk, Tesla’s charismatic chief executive officer, has pitched it as the company’s first car for the masses, with a base price of just $35,000. Maybe free Red Bull for assembly line workers? How is that ever going to happen? Not voluntarily, people just aren’t like that. The only way probably is to find a way to produce meat in some kind of grow tank, so as to eliminate the animals and in so doing their emissions. 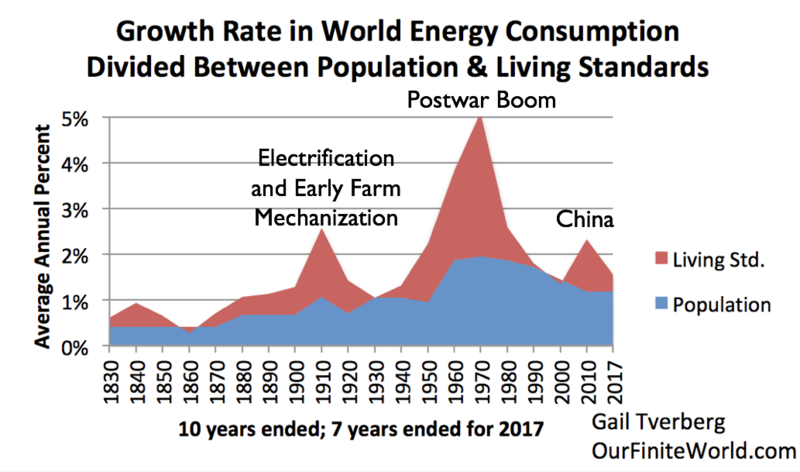 Clean Meat; Clean, Good, Energy; Smart Houses; a De-materialized Economy: how bright the future is looking! Perhaps we have been inclined to be a little too pessimistic here? I’m not suggesting that, but the idea of clean meat as they refer to it sure is interesting. Would be nice if animals are not slaughtered or that methane emissions don’t need to be part of the process to have a meat sandwich. 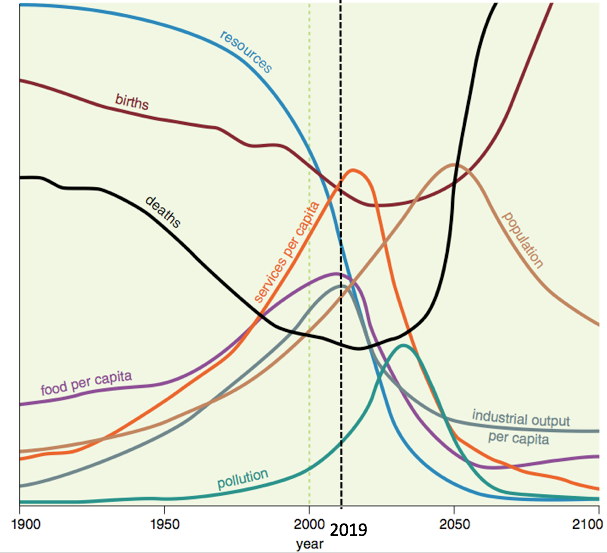 Even if we still are on a course for collapse, would be interesting to try some ‘clean meat’ before the oil age is over. Or we could just eat less meat. My wife looks at me funny every time I suggest a dinner meal that does not include some kind of meat. We put mushrooms in the tomato sauce. Or we add soy sausage. When we add meat, it is as a flavoring. Think of Campbell’s chicken noodle soup. Not much meat. An ounce of meat (or fish) per person per day is a reasonable amount to plan for. Beans and lentil are good for you. Eat lots of them. A semi-abandoned town in Italy is selling homes for just over $1 in hopes of luring foreigners to renovate the properties and revive its local economy. Sambuca, a hilltop town in Sicily with sweeping views of the Mediterranean, is selling dozens of bargain basement-priced homes after other Italian towns and villages have made similar offers. Sambuca — no relation to the liqueur of the same name — has a population of fewer than 6,000 residents and is located about 40 miles south of Palermo. With more use of machinery, there is less need for human labor in villages. Also, citizens can drive further to stores than they did in the past, so there is less need local stores. So there aren’t many jobs in small towns. That’s not going to last much longer. Hilltop villages will be abandoned as too difficult to reach & sustain, they have to be self sustaining if they want to remain viable but on a hilltop? unlikely. After oil they will want to be near a navigatable river or ocean with good flat land nearby to grow food & wood. Your so right about there being no jobs in small towns but that will change, a lot more farmers & farm workers will be needed even in small towns. They will also need many other skilled workers to produce their durable goods. There will be very little unemployment in the future IF we have a “future”. The hill-top villages and towns of Southern Europe originated in the need to be away from the coast and mostly Muslim pirates/slavers; a problem into the early 19th century, until the British and the American navies put an end to the piracy conducted from North Africa. Also, it offered greater security from local bandits, a problem which lasted much longer. But they do tend to escape disease bearing insects that inhabit areas at lower elevations. Freezes during the year kill of some kinds of insects, for example. Malaria does not occur at high elevations, for example. This happens assuming that somehow, the farms can feed the local populations post collapse, using resources at hand. If imports drop way off, the availability of farm equipment disappears. Small boats for navigation also have to be built with local materials. I am not optimistic about making the transition. We currently are geared toward a one-crop approach for farmers, and most of the one crop is for animals. Obviously that will have to change as a monoculture is not sustainable. Before we had factory farms, farmers grew several crops including wood for fires, fruit trees & nut trees & fodder for their animals in rotation. fodder one year, food crop the next, cover crop, grazing, food crop etc etc etc. Those on the hills traded wood or crafts for food or other items, farmers traded their production for what they needed, everyone had a job of some kind wether it was as a blacksmith, wood worker, sheep shearer, weaver, animal raiser & trainer, shop owner etc etc. You can still see this today in small, isolated rural villages in the third world, people work until they can’t, the only “retirement benifits” they might have was support from their families. “Money” in some form or other served as a portable means of trade, it’s easier to trade using a silver coin than a cow, cord of wood or a heavy bag of grain. More people need to stop reading fiction & instead READ more about the real world & how people in other areas of the world live today & in the past, history is a great teacher. I’m ok with the yellow vest protests in regards to damaging modern infrastructure, but take exception to damaging art. Even mobs need to have a sense of right and wrong.